a definition to a concept. a concept to a skill practice. a skill practice to writing. Competent writing begins with understanding correct sentence structure, expands to paragraphs, and results in the satisfaction of well-written essays, reports, and letters. Jingles are presented in a simple, easy-to-use format that students can sing or chant. Jingles help students learn the definitions for the eight parts of speech. These definitions help students learn the vocabulary necessary for understanding basic sentence structure. The Question and Answer Flow is a way to analyze the role of each word in a sentence. Learning to identify and label the parts of a sentence leads to understanding sentence structure. As students' understanding of sentence structure grows, they learn to apply this knowledge to write better sentences, paragraphs, and essays. Writing Sentence Blueprints helps students make the connection between grammar and the writing process. Writing Sentence Blueprints from grammar labels establishes a foundation for sentence composition. Then, students learn to expand and improve their original sentences, using revision strategies to write improved sentences. rehearse the most common conventions of English. facilitate the transfer of word skills to sentence skills. integrate grammar knowledge into the writing process. With Shurley English, students learn many skills to help them master language concepts. They are given specific techniques to learn not only the concept, but also the entire thought process necessary to apply the concept. Skills taught include vocabulary, mechanics, usage, editing, and sentence work. provide specific processes to follow for understanding and application. spiral throughout the curriculum to ensure mastery. allow comprehensive input and review. Learning to write begins with an understanding of sentence structure and expands to paragraphs and essays. Students are taught to organize paragraphs and essays according to the purpose for writing. Then, they use writing checklists for each step in the writing process. The end result is student writing that is distinctive, effective, and polished. Writing Evaluation Guides are also provided to assist students and teachers in the evaluation process. 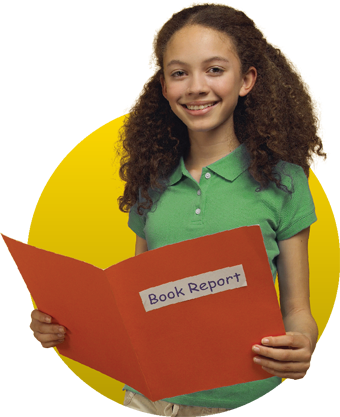 uses student-friendly writing scaffolds that pave the way for exceptional writing. develops and enhances effective writing traits. provides detailed graphic organizers for logical organization of ideas. includes comprehensive development of revision and editing skills. allows students to use their imagination to explore ideas and respond to the texts they read. engages students in interactive listening, speaking, thinking, and writing activities. integrates and develops powerful "deep and wide" vocabulary, including etymology. connects the most important grammar skills into writing. allows numerous opportunities for writing across the curriculum. provides purposeful technology applications to support key skill development. Speaking and Listening opportunities maximize the social needs of students' brains as they practice formal and informal speaking during instructional time. Beginning at the earliest grade levels, Shurley English provides easy-to-follow discussion guidelines for both the speaker and the listener. These strategies teach students to think critically during discussions while linking their own thoughts to the speaker. 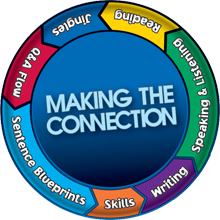 The skills are repeated throughout the grade levels to help students master the concepts they will need to become successful communicators. allows students to discuss topics formally and informally. encourages active listening in flexible student groups. prepares students for formal and informal oral presentations. rehearses routine discussion strategies that build knowledge. Shurley English teaches students the foundational skills they need to be able to read and think critically. As students progress, they learn to analyze various types of text, including literature and informational pieces. Young students develop solid phonemic awareness skills, which lead to successful decoding and spelling. Students are exposed to a wide variety of academic vocabulary and high frequency words, which empowers them to engage in text analysis. When students actively engage in close reading, their critical thinking skills sharpen. allows students to build their own literacy from sound-symbols to words to sentences to writing fluency. develops decoding, phonemic awareness, spelling, and fluency skills. allows textual analysis in bite-size chunks. encourages students to think deeper and more critically. features original pieces in various domains of literature, including narratives, informative pieces, opinion/argumentative writing, and other culturally-relevant text, which stimulate discussion and boost comprehension. draws on literature models that enhance and inform their own writing. 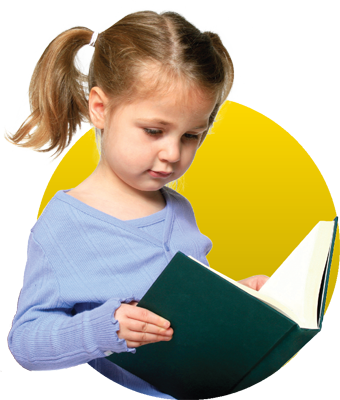 Learn more about Shurley English Early Reading. We can tell you how other educators are succeeding with Shurley English, but it is important that you see the advantages for yourself. Visit our YouTube channel where you can view actual classroom demonstrations, experience the excitement of Shurley English, and observe administrators, teacher, and students giving honest, unscripted testimonials.